Dubai: The Roads and Transport Authority (RTA) will open the Jebel Ali Metro Station on March 11. 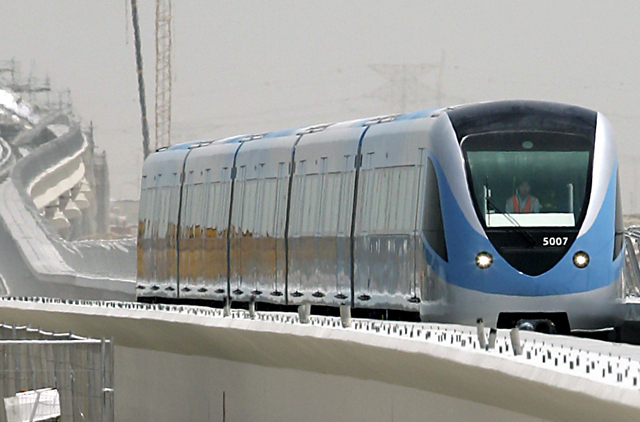 The Jebel Ali Metro Station is the terminal station on the Red Line of the Dubai Metro. The opening of the latest Metro station will put the number of stations opened on the Red Line to 27 stations. The station measures about 132 metres in length and 29 metres in width and has a total capacity of handling 11,000 passengers per hour per direction. Mattar Al Tayer, Chairman of the Board and Executive Director of the Roads and Transport Authority, said: "The Jebel Ali Station is mainly intended to serve Jebel Ali area and in particular the Jebel Ali Free Zone (Jafza) North and South as well as Jebel Ali Port. Jebel Ali Industrial Area is the home of about 6600 companies employing about 129,000 employees and the number of staff accommodated within Jafza is in the order of 40,000 employees." "RTA will operate 27 trains in the morning peak hours and 29 trains in the evening peak hours while the interval between train services (headway) will range from 6 to 8 minutes in the morning peak period, and from 5 to 6 minutes in the evening peak period," Al Tayer said. "Through Serco Co., the Metro operator, RTA has finalised all technical trail runs of the metro including the testing of communication systems, automatic operation systems, power feed, air-conditioning, on-board electronic devices, lighting systems and the integration and interfacing of all various rail subsystems and components. RTA has also completed the training of front-end and customer service employees at the stations on various systems and the staff have already been deployed at the station following the completion of intensive training courses in customer service, implementation of regulations and procedures set out by the RTA for preserving the facilities of the project, and law enforcement against offenders," Al Tayer added. Al Tayer said that in January and February, the number of Metro users topped 9.3 million, with 4.7 million passengers in January and 4.6 million passengers in February. In 2010, there were 38.888 million passengers on the metro. The current daily average Metro users is 149,000, according to the RTA Statistics Office.